I love the style and writing of your blogs. It's a small world but almost certainly the longere you referred to in Berrien is owned by friends of ours, and yes there is still a flooding problem! It has just gone back on the market after them working on it for a year. Interesting that you think the longere we visited might be the one owned by your friends. Last time I checked it was supposed to have been sold. Anyway, I hope your friends have got the problems sorted out and they are successful with selling it. It is a lovely area. It is almost certainly the same place, did it have a field to the right of the drive and a small low opening through the stone wall at the end of the lounge? They bought it around June 2011 and have been happy there, they just want to move closer to Huelgoat. We have been living here a year now and love it, one of the best things we have ever done moving here. We can't wait until we can move there permanently but that will be a few years yet! We always have open house here for a coffee or wine :)) so please let me know when you are both over here next and we will meet up. That's a very kind offer - thank you! We will be over in Oct so I will drop you an email and we can work out a date that suits everyone. 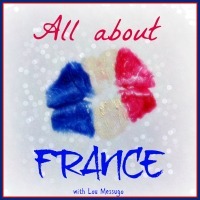 Love your website - some really useful information on there on living in France. I will add a link to our links page and also a link to your blog on my blogroll. Many thanks for adding a link, I shall add one back to your site soon. Yes, do drop us a line when you are here this Month. Great publish. I just stumbled upon your website and desired to say that I have really experienced browsing your articles.I am finally ready to return to our French property hunt.